I love love love mangoes. They bring back such fond memories....takes me back to my hometown – Mumbai (Bombay), India. The supply there is in plenty, all shapes, sizes and different types. 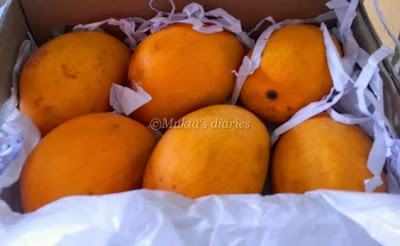 Yes I have a favourite type too – the Alphanso (Haapus) mango. It is sweet and full of flavour. Unfortunately this type is seasonal and that too just for 2 months (around April and May) or beginning of the monsoon season. I associate this fruit with my summer holidays – vacations, spending time with friends, having get- together with cousins and of course eating lots and lots of mangoes. 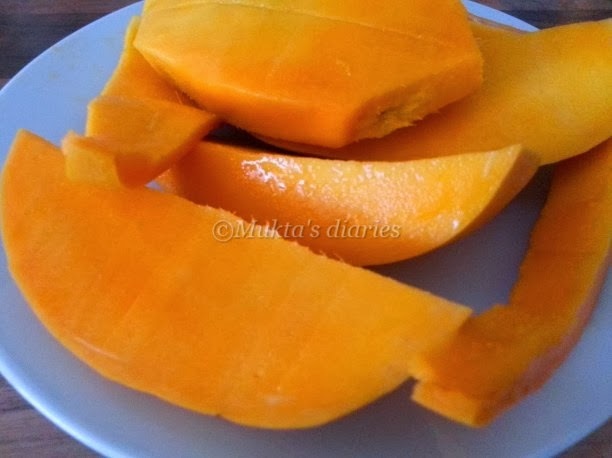 I remember having mangoes almost every night after dinner. My sister and I would leave them in the refrigerator for some time and eat it cold. Mom would make milkshakes, chutneys, pickles, mango lassi (smoothie), Aam ras (mango pulp) and desserts – just all sorts of things. I am so thankful to the importers and exporters that these are so easily available here in the UK!